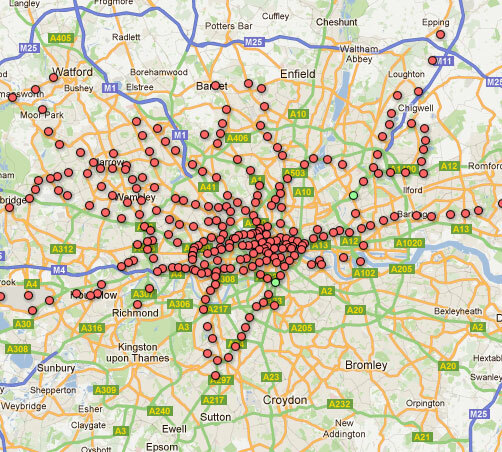 I’m building a tube map of pubs. I have often been in the situation where I’m meeting someone for a drink at a tube station but don’t know a decent nearby pub to meet in. So I had the idea of creating a tube map where stations were replaced by pub names. Where ever you needed to be in London, you would always have a personally recommended pub at your disposal. Build the Tube Pub Map! Help me complete this vision by submitting your pub. Build the Tube Pub Map! Nice idea Tom. The White Hart near Waterloo is worth including.